A little over a year ago, I switched from Sprint to AT&T. 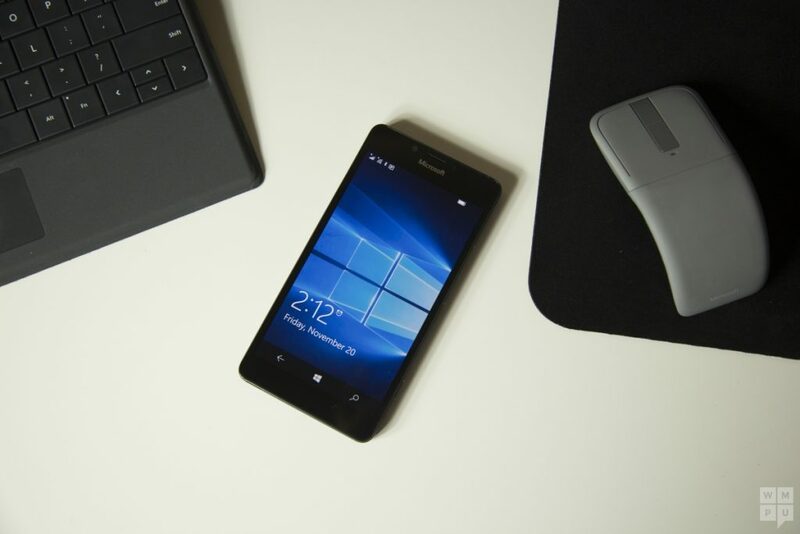 My contract was up and I was frustrated with Sprint’s lack of support for Windows phones. At the time I was using a Samsung Galaxy phone running the Windows operating system. I went over to the AT&T store where they had the new Lumina 950. No one at the store knew much about the phone. They tried to steer me to the iPhone or to the Android phones, but I insisted that I wanted the Lumina 950. A few weeks ago I cracked the screen on my phone. No problem; I have insurance. “We don’t have any replacement Lumina phones,” I was told. “We can offer you a Galaxy 7.” I pondered my options for a few minutes. Is it time to finally give up the fight and switch to Android or the iPhone? It’s not like Microsoft is doing much to promote the Windows phone. If anything, they are doing everything they can to sabotage Windows phone. But I loved that phone. So, I made a deal with them. I would go online and buy the phone and they would reimburse me the cost. I called Windows store and discovered that the Lumina 950 was discontinued. “Are you kidding me? Doesn’t Microsoft own Nokia?” Why would they discontinue the phone? After the initial shock, I found the phone online for $350. It took me all of about ten minutes to get the new phone up and running just like my old phone. Sign in with my Microsoft account, and I instantly have access to contacts, apps, calendar, one drive, one note, etc. I fire up Groove and listen to my playlist as I read articles from the News App. I am a Windows user. My desktop and laptop run Windows. The seamless integration of all of my data between all devices is what attracted me to the Windows interface. The camera on the phone is phenomenal. I have two pictures taken on my phone that I had printed and now hang on my wall. The framer wanted to know where I had purchased the photos. I know there are workarounds where I can get access to much of my information on an iPhone or Android phone. There are third party apps that will let me sync everything up once I export this and import that. But why would I want to do that? I have immediate access to all of my data regardless of the device I’m using. I like having the ability to organize my applications, changing the size of the tiles, placing groups of tiles into folders. I work at a company that produces work related phone applications. None of the applications are Windows based. I see my co-workers pecking away at the little iPhone icons. I’ve learned to use workarounds at work. I don’t want to give up my Windows phone. It is frustrating to see the Windows phone abandoned by Microsoft. I don’t even pay attention anymore to advertisements asking me to download the latest phone app. I know there won’t be any Windows download. I know I am on my own if I have a support question. Luckily, I haven’t had any support questions. The phone just works. I place the blame for the lack of interest in Windows phone directly on the shoulders of Microsoft CEO Satya Nadella. I can remember walking into phone stores and asking to see the latest Windows phones. If by chance they did have a Windows phone, the selection would be limited. The phone store employees wouldn’t know anything about the phones. They would do everything they could to convince me to not purchase the phone. I would go into a store and they would not have a single Windows phone to sell. “Why don’t you have any Windows phones? ” I would ask. “Windows phones don’t sell,” they would tell me. “How can they sell if you don’t even offer the phone?” was my reply. Satya’s decision to not aggressively place Windows phones in the hands of frontline phone store employees is the single biggest blunder of his tenure at Microsoft. I don’t know if Microsoft can revive Windows phone. I hope they can.